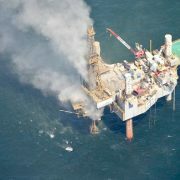 Around midday today a natural gas blowout occurred at a jackup drill rig, the Hercules 265, operating in shallow water in the Gulf of Mexico off the coast of Louisiana (South Timbalier Block 220). All of the workers — more than 40 — were safely evacuated. 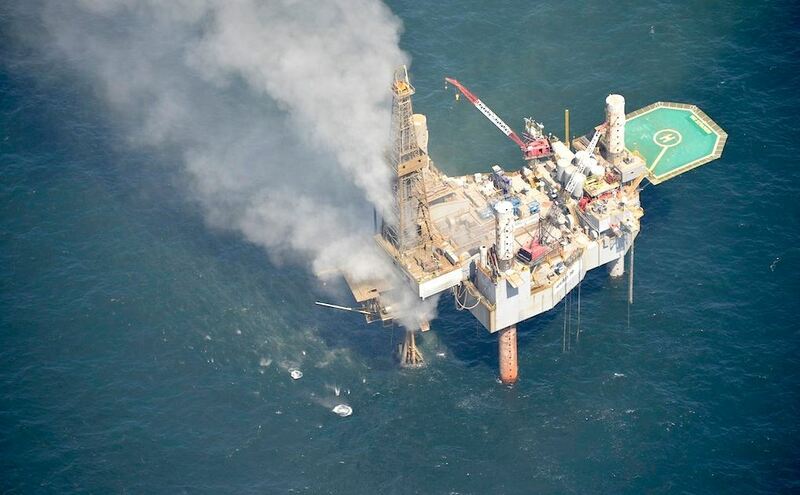 The rig was enveloped in a cloud of gas, so there is a high risk of fire or explosion until the well is killed. A small sheen was reported around the platform – this is probably a thin slick of highly volatile natural-gas condensate. At this time we have no reason to think there is potential for a significant oil spill from this incident. But, coming hard on the heels of another blowout that happened in the Ship Shoal area last week, it’s yet another reminder that drilling is an inherently risky activity. Pilot Bonny Schumaker with On Wings of Care flew over the site today and took some amazing photos. Here is one of them. See many more on her blog. Hercules 265 jackup drill rig enveloped by cloud of gas from ongoing blowout. Photograph by Bonny Schumaker / On Wings of Care. You can see the small, unmanned platform this rig was working at; it's at the far left, tucked underneath the jackup drill rig. Accirding to BOEM data (http://www.data.boem.gov/homepg/data_center/platform/platform/master.asp)this platform was installed in 1998, and the water depth is 158 feet. Does anyone know who is doing emergency response? US Coast Guard and BSEE, we assume. Oil Slick on Satellite Image Yesterday – Eugene Island Area, Gulf of ... Hercules Drill Rig Engulfed in Flames – Now What?